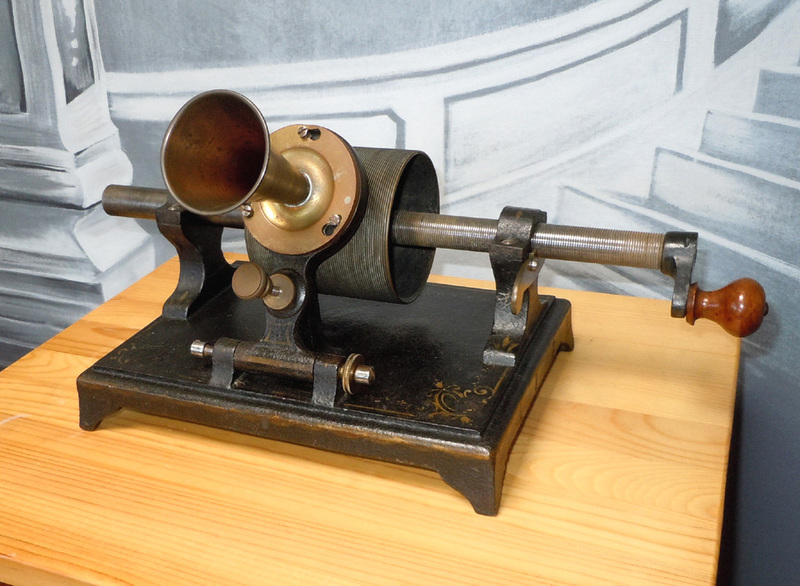 Urbain Fondain was a pioneer in the production of tinfoil phonographs in France, apparently the first to manufacture phonographs after Edmé Hardy, who had been contracted directly by Thomas Edison to make phonographs in 1878. Fondain may have begun production by late 1878 but the earliest known documented record dates to 1879. 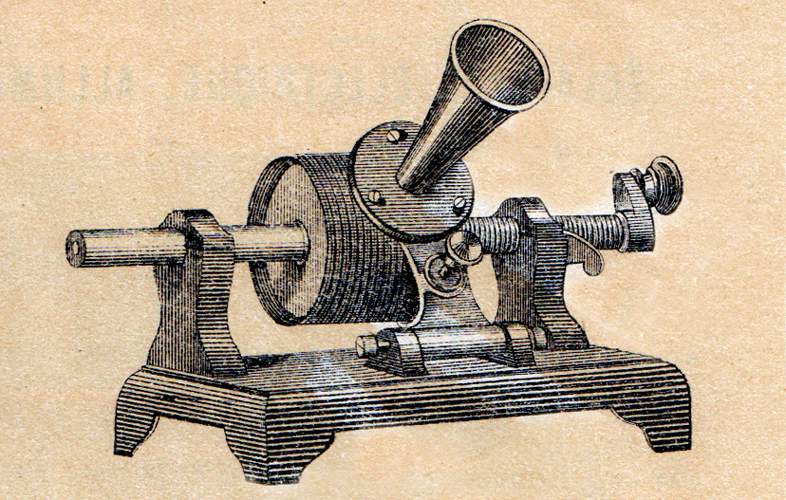 Although Fondain produced several types of phonographs, including a spring-driven and a weight-driven machine (one of which survives in a museum in France) this design is considered his "classic" style. Fondain sold some phonographs directly, but also marketed them through scientific equipment dealers like Arsène Boivin and Eugène Ducretet. That he was well-renowned for his phonographs is evident by the fact that in Boivin's catalog, Fondain is mentioned by name. Clearly that was a strong selling point. This is the best-known Fondain design. Measuring about 10" by 7", with a 3-1/2" diameter mandrel, it is a substantial and surprisingly heavy machine which features a tilting speaker assembly that can be adjusted with centering screws on the base, and depth adjusting knob with lock nut on the front of the speaker arm. The machine was painted in black with elegant gilt decoration. The machine also has a simple 'throwout lever' to disengage the feedscrew and quickly move the mandrel back to the start of the recording without having to rotate the crank backwards. Despite the high quality of his machines his business was unsuccessful. He began to suffer financial difficulties by 1880, compelling him to cut costs in his next model. 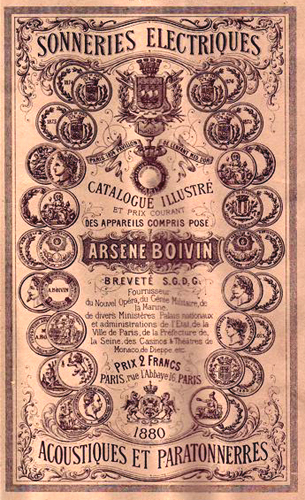 This original 1880 catalog from dealer Arsène Boivin features Fondain's basic tinfoil phonograph at 120F ($24). That was well over twice as expensive as Edison's small Parlor Model. Boivin also sold weight-driven and spring-driven tinfoils made by Fondain, priced as high as 500F ($100).